Following this past weekend's hectic "Weatherman" Nike Zoom KD IV release, the even more popular "NERF" colorway will officially hit retailers this Saturday. Following this past weekend's hectic "Weatherman" Nike Zoom KD IV release, the even more popular "NERF" colorway will officially hit retailers this Saturday. 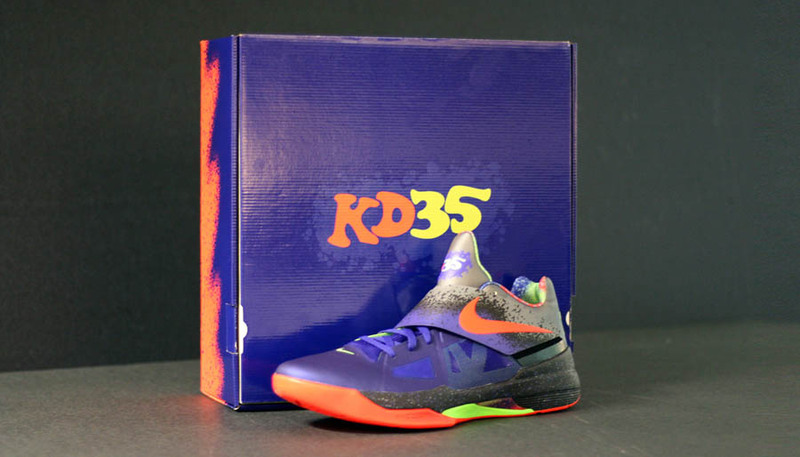 Inspired by KD's youthful personality and love for NERF sports, the shoe features the brand's iconic graphics and bright color pops, complete with a special "KD35" graphic on the tongue in classic NERF font. 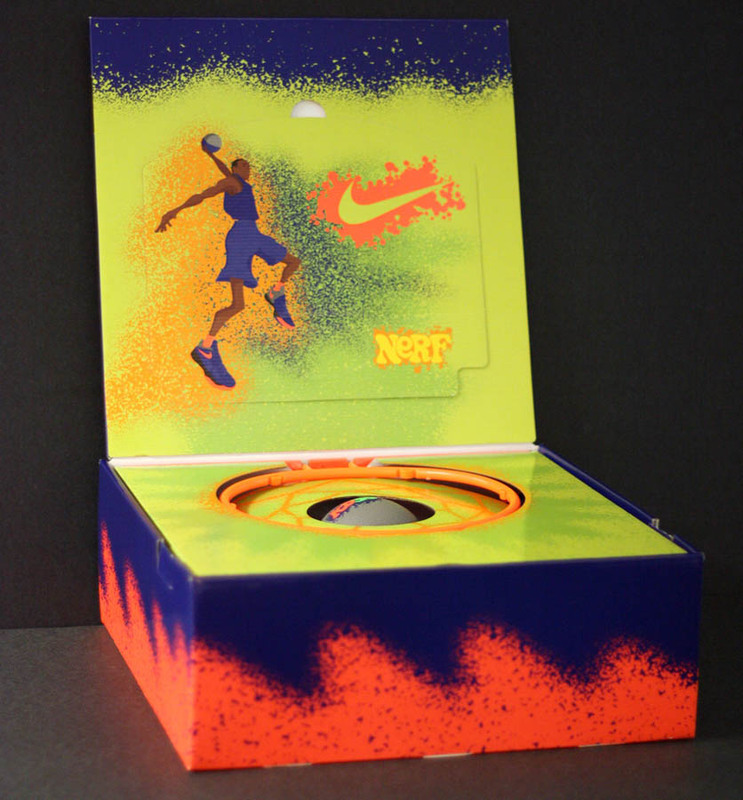 The shoes will be packaged in a special box that will include a limited edition NERF hoop and ball. 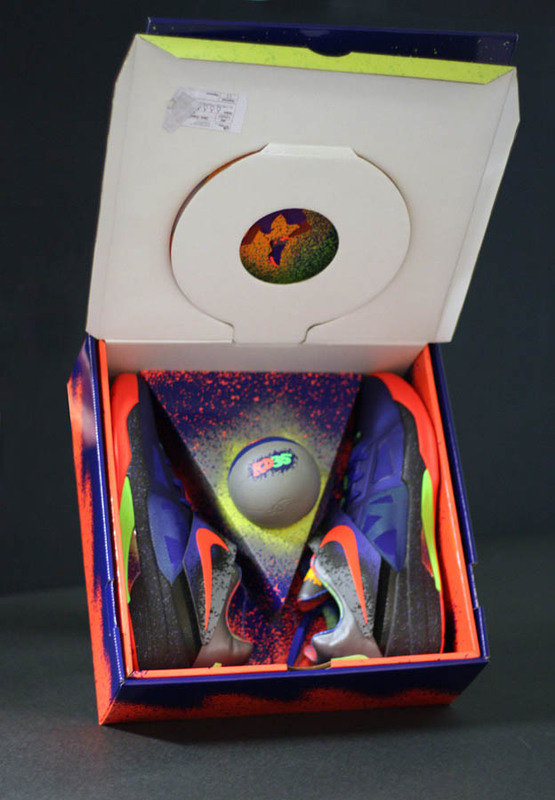 The KDIV Nerf edition will be available at the following stores: Niketown New York, Niketown Chicago, Nike Store Dallas, Metro Sneakers (Hyattsville, Maryland), Succezz (Chicago, Illinois), and the following House of Hoops locations: Harlem, NYC 34th Street, PG Plaza, North Riverside, Beverly Center, Houston Galleria, Dallas Town East, Dallas North Park. 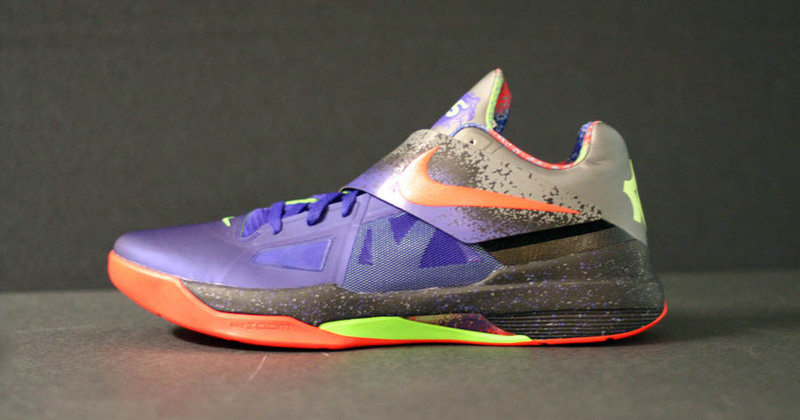 Retail for the Nike Zoom KDIV NERF edition will be $125 USD. There is also a KDIV Nerf limited edition t-shirt available for $30 USD at select retailers.